frlamoni | The greatest WordPress.com site in all the land! The National Agency for Technical Relief is Lamoni’s Civil Defense agency, placed under the authority of the Interior Ministry with the mandate to protect Lamonian citizens and property from both man-made, and natural disasters, and to assist in the rebuilding process. Ninety percent of the NATR’s staff are trained volunteers, who can been called up for their NATR duties during time of need, with their normal civilian jobs being protected by law in the same way as for the Lamonian Military Reserve Forces. 1.) technical and logistical support for other (Lamonian) Government Organizations, NGOs, or other authorities like firefighters, or police. 2.) technical or humanitarian relief in foreign countries, as assigned by the government. 3.) technical relief in Lamoni as part of national civil protection measures. The NATR was founded in 1950, hoping to protect the Lamonian public from nuclear war, which seemed more and more likely at the time, with each new nation that acquired their own nuclear weapons. The main purpose of the NATR was civil defense in the event of war. This has changed during the decades; today the NATR is a helper in a wide spectrum of disasters, such as traffic accidents, war, industrial disasters, earthquakes, or other man-made or natural disasters. The organization has been active in multiple civil defense missions both inside the Free Republic, as well as abroad, further honing their skills with each call to action. For example, the NATR has been called into action numerous times to assist AHSCA after hurricanes, providing life-saving assistance with each deployment. NATR officers are empowered to take command of all civil defense and disaster relief efforts on Lamonian soil. NATR members can be singled out by their cobalt blue vehicles and uniforms, and are a relatively common sight across the Free Republic. NATR operations are split into Regional Commands (with each Regional Command approximating each Lamonian State), with each region sporting District Commands. Each District Command sports Local Commands. Each of the Regional Commands report to the National NATR Command Center, who reports to the Director of the NATR, who in turn reports to the Interior Minister. Each Local Command is in command of multiple NATR Technical Relief teams, who provide actual NATR services to those in the affected areas. 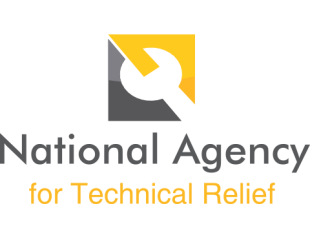 For foreign Technical Relief missions, there is a Foreign Technical Relief Command, which maintains Foreign Technical Relief Teams. Each of the personnel in these units is a full-time, paid NATR staff member, and each of the Foreign Technical Relief Teams is required to be ready to go airborne within six hours. Euthanasia in Lamoni in its legal voluntary form is called medically assisted dying (colloquially assisted suicide or death with dignity) and became legal as of June 2016 to relieve the suffering of terminally ill adults. Strict laws govern access to legal assisted suicide in Lamoni. Medical assistance in dying is not available to minors, nor can it be used to relieve the suffering of a mental illness, long-term disability, or any curable condition. To prevent suicide tourism, it is available only to residents eligible for Lamonian healthcare coverage. Advanced directives are not allowed in Lamoni for voluntary euthanasia and patients can not arrange to consent “in advance” to dying later at the hands of a caregiver (as in cases of dementia or Alzheimer’s disease where patients may want to die after they reach an advanced state of mental decline). Lamoni’s assisted dying law includes rigid legal safeguards to prevent abuse and to ensure informed consent. Neither the legal witnesses, nor the physicians involved, can have any legal or financial interest in the outcomes of the patient. Consent must be repeatedly expressed, not implied, including in the moment right before death. Consent can be revoked at any time, in any manner. There are no consequences for backing out and there are no limits to how often it can be requested. To receive a medically assisted death, patients experiencing intolerable suffering must sign a written request expressing their wish to end their life in front of two independent witnesses who can both confirm it was done willingly, and free of coercion, 10 clear days before the date of death. Next, two physicians and/or nurse practitioners must independently confirm their written agreement that that the patient has an incurable grievous and irremediable medical condition that is in an advanced state of irreversible decline, that the patient’s natural death is reasonably foreseeable, and that the patient is capable and willing of receiving a medically assisted death. If they are eligible, patients must be informed about their palliative care options to relieve end-of-life suffering before they can die. The patient must again sign a written request before the termination. Once all of the legal requirements have been met, termination is performed by lethal injection. Abortion in Lamoni is legal on request within the first 28 weeks of pregnancy, with a three-day waiting period. If the woman is under the age of 18, parental consent is required. Abortions are paid for under Lamoni’s national healthcare system, though safeguards are in place to ensure that the system is not abused. The current laws on abortion were established by Constitutional Referendum on 23 November 1987, and have remained in force since 1 January 1988. Gun Laws cover the role firearms play as part of society within the borders of the Free Republic of Lamoni. Current legislation sets the legality by which members of the armed forces, law enforcement, and private citizens may acquire, own, possess and carry firearms. Civilians are permitted to own non-fully automatic rifles and shotguns as long as they are stored properly when not in use. Handguns are illegal except for target shooting, occupations in which carrying a gun is a requirement (primarily private security guards), and those who hold concealed carry permits. Gun owners are required to renew licenses on their guns every three years, or when they move (whichever comes first). Failure to comply will result in revocation of license, as well as confiscation of all guns in the civilian’s possession. Limited categories of citizens like Legislators, judges, journalists, and some others may own trauma pistols that fire rubber bullets. Concealed carry licenses are available, but are not normally issued unless a threat to life and limb is present and can be proven. Once a license is issued, all guns must be kept unloaded and in a certified gun safe when not in use. If a person owns more than three firearms, the certified gun safe must have an alarm on it. Civilians also cannot legally own more than 1,000 rounds per weapon. Gun ownership by members of the military, protective and security services, and police is covered by different legislation than for civilians, and all weapons must be turned in once one’s duties for the day have been performed. Weapons used as part of a museum collection must be deactivated, so that they can no longer discharge any shot, bullet or any other missile. 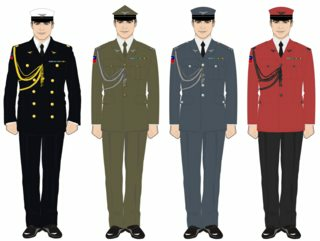 The National Foundation Day Military Parade is a Lamonian military parade that has been held on the morning of 3 July each year in Nephi since 1800, without exception. The parade passes down Liberty Avenue (itself 2 kilometers long, and 70 meters wide) from the Fountains of Liberty and Democracy, to the Lamonian Presidential Palace, where the Lamonian President, members of the government, invited foreign guests and ambassadors stand. The parade has historically been broadcast by the Lamonian Broadcasting Company, and viewership figures have remained high from year to year. In recent years, invited detachments of foreign troops have taken part in the parade, and foreign statesmen are invited to attend the parade as guests of the Lamonian government. Smaller military parades are held in other major Lamonian cities, using troops garrisoned in the local area. As the President of the Free Republic of Lamoni arrives at the start of the parade route, he is greeted by the parade commander, who informs the President that the parade is ready for inspection. The President then rides in the Joint Chief of Staff’s vehicle, escorted by mounted agents of the Special Protection Service on horseback; followed by a marching band selected from among the Upper Secondary Schools of Nephi by random lot. The marching band plays patriotic music as the President inspects the troops involved in the parade, ending near a stage erected in front of the Lamonian Presidential Palace, where the President disembarks the vehicle, and meets with the invited foreign dignitaries present. During the inspection, the President waves at the crowds present for the parade. The Lamonian National Police provide security for the parade, working with all of the Lamonian military and security agencies. Invited foreign units follow the military cadets, while the LAF Blue Devils perform aerobatic maneuvers overhead in their TF-39B Fearless jet trainer aircraft, including the initial aerial flyover of the parade, during which they release red, blue, and yellow colored smoke. The parade then follows with Lamonian foot soldiers from the Army, Marines, Navy, Air Force, and occasionally the National Police, and local firefighters. The parade finishes with motorized and then armored units from the above military and civilian organizations; occasionally other Lamonian governmental and civilian organizations are invited to participate in the parade as well. Aerial units from the Lamonian Air Force and Navy provide aerobatic and flyover demonstrations at the end of the parade, making life significantly easier for the parade, television, and radio announcers. While just one of the events traditionally taking place during the day (to include the traditional fireworks show that night), the National Foundation Day Military Parade celebrates Lamonian national unity and pride, with 3 July 1700 traditionally being held as the day when the first refugees arrived on what would become Lamonian shores, leading to the founding of the Free Republic itself in the year 1800. The Nephi Gazette is the official journal of the Government of the Free Republic of Lamoni, and is published weekly on Fridays (except in the case where the Friday would be a national holiday, in which case publication is done on the preceding day, Thursday). Any new law or changes to existing law made by the Government can only take effect once it has been published in the Nephi Gazette, unless otherwise stipulated. Other legal formalities about which the Lamonian people are legally required to be informed about, are also published in this paper. Classified materials are not published. Publication of the Nephi Gazette is controlled by the Ministry of Justice, and publication therein fulfills the legal definition of “public notice” for the materials published. Similarly to the Nephi Gazette, each Lamonian state is required to publish their own Official State Gazettes.